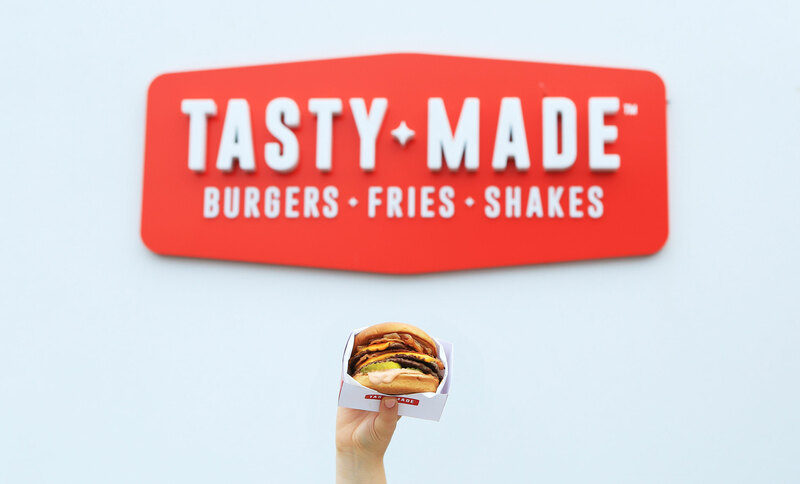 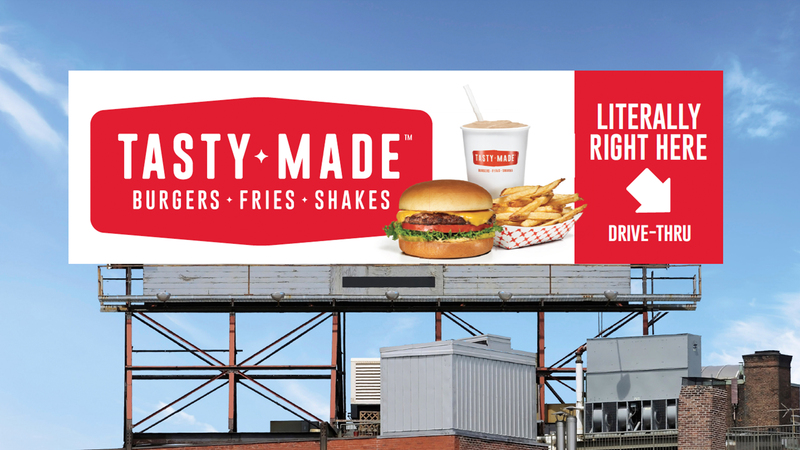 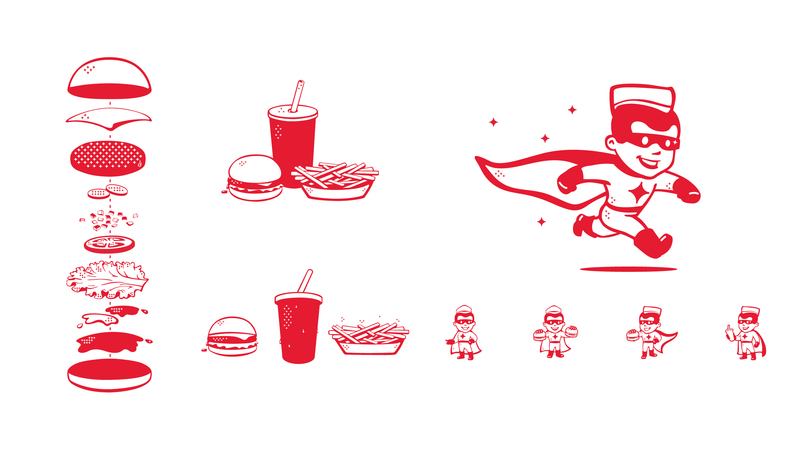 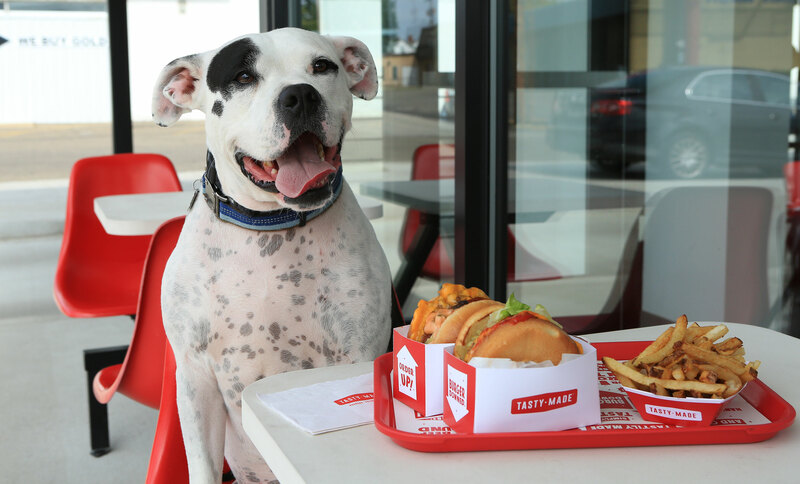 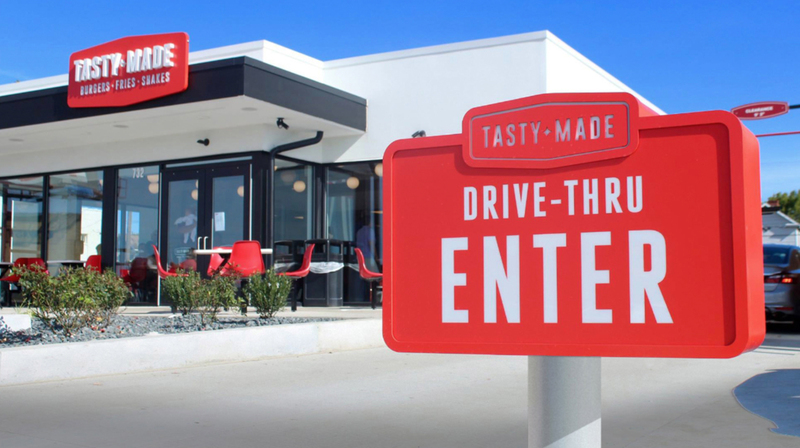 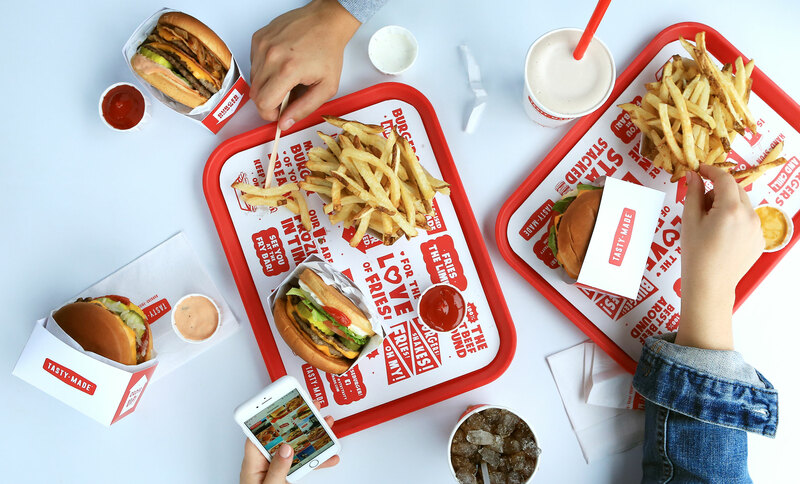 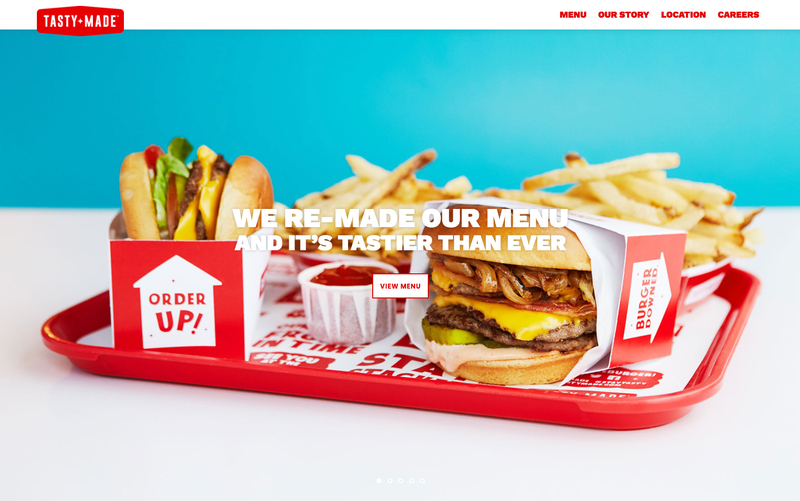 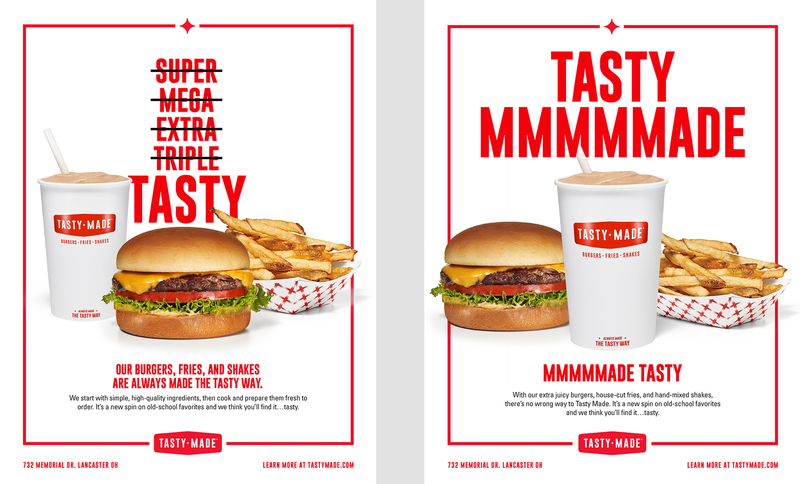 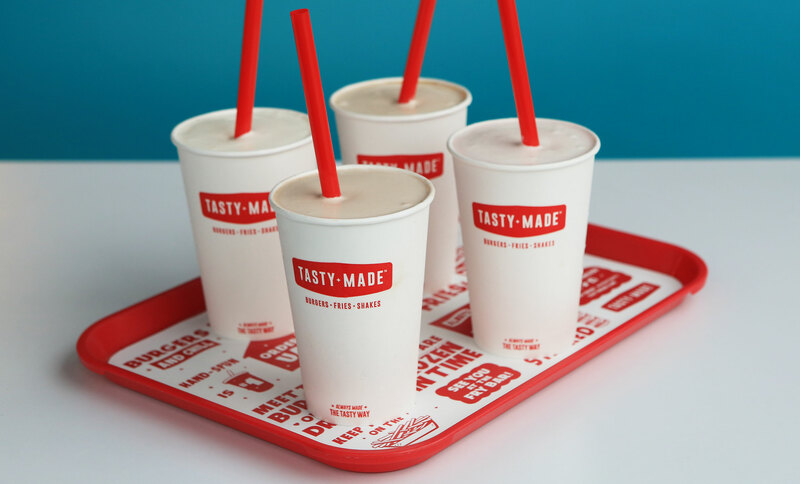 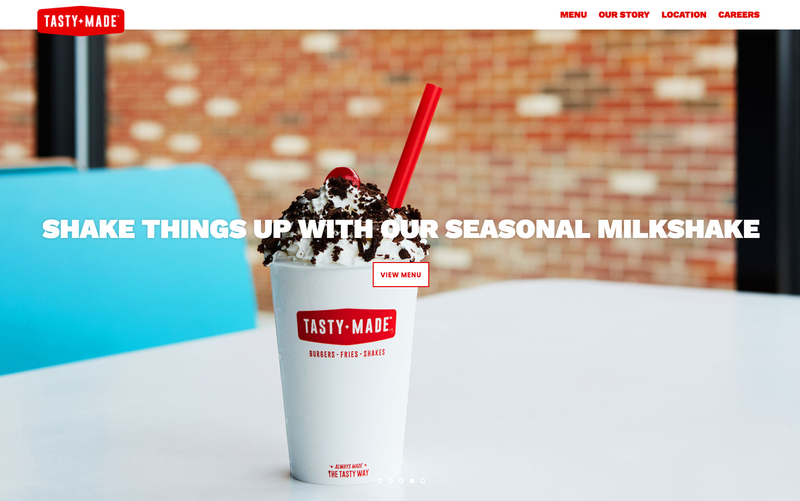 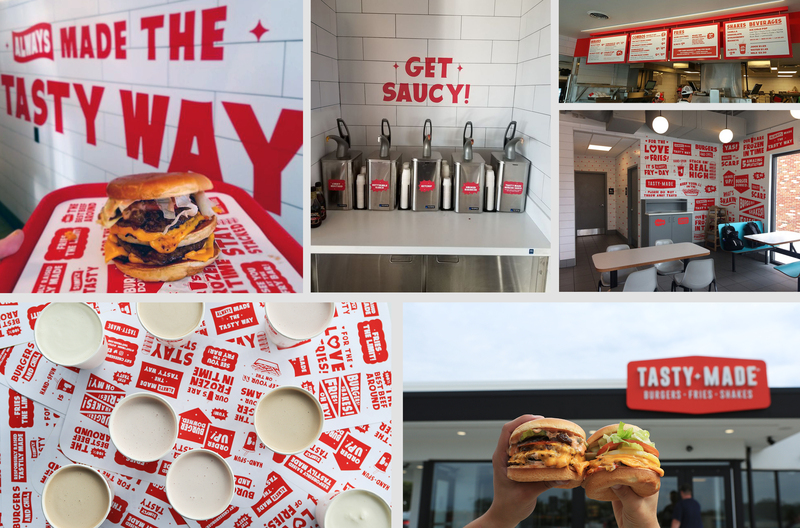 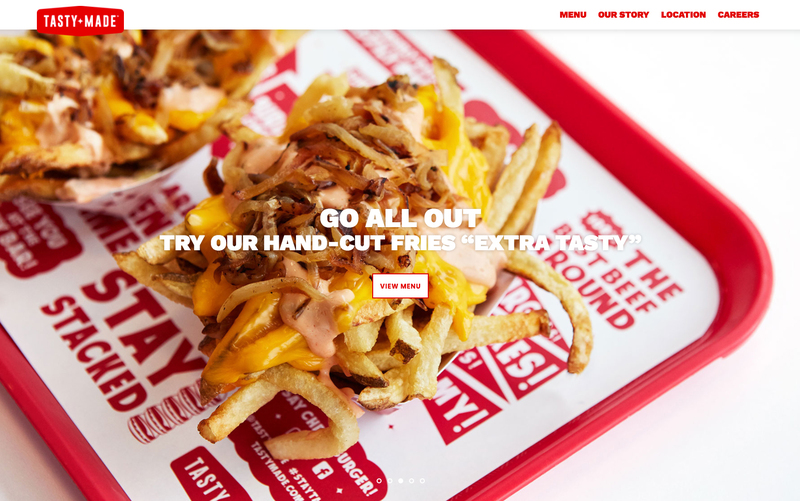 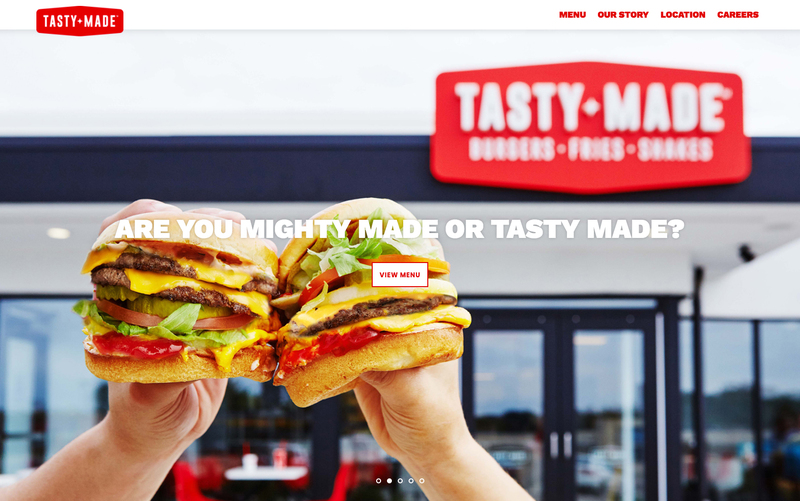 Tasty Made harkens back to a simpler time when fast food favorites like burgers, fries and shakes were cooked and prepared to order with just a simple list of high-quality ingredients at an affordable price. 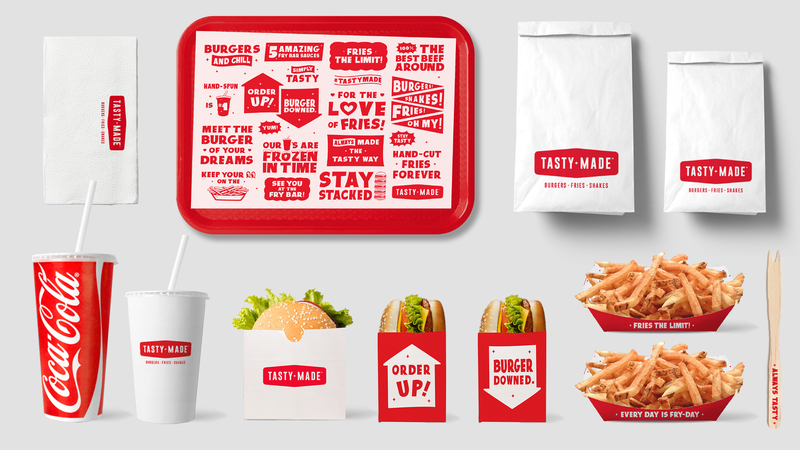 We designed the logo & identity to be an approachable, modern take on the 1950's burger joint paired with a fresh, playful and slightly clever attitude. 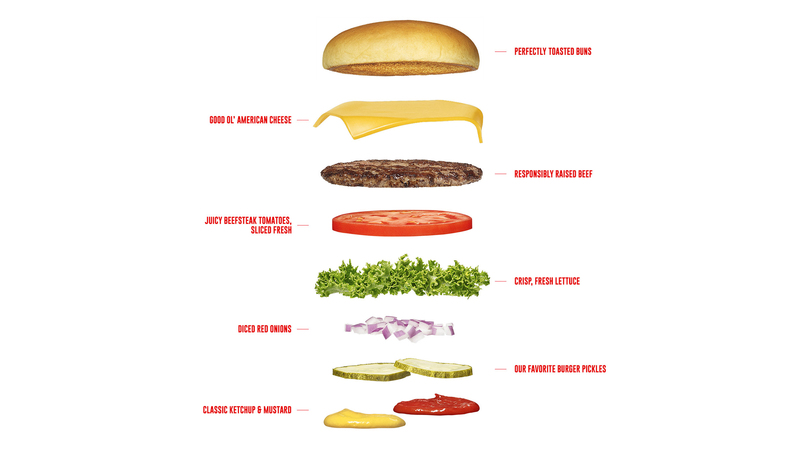 we realized that it wouldn’t be feasible to shoot new photography each time the menu was tweaked. 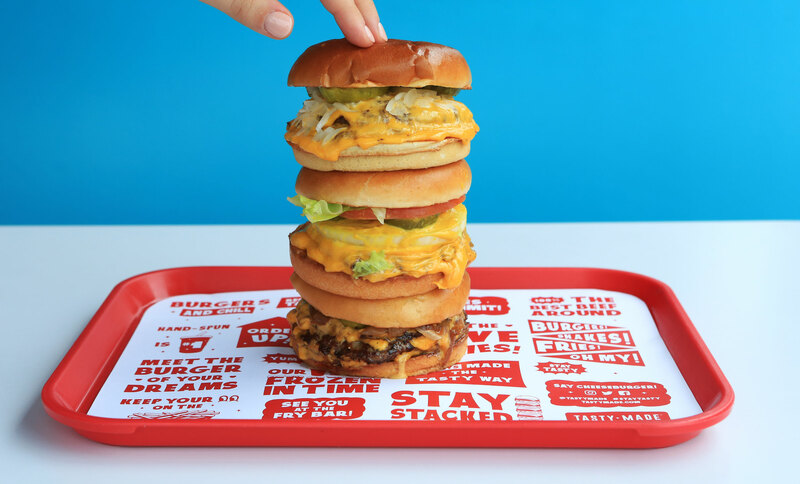 So we came up with a much more flexible format for the young and changing burger concept.